Doberman, Chow Chow, German Shepherd, Rottweiler, Pitbulls, American Pitbull Terrier, American Staffordshire Terrier, Staffordshire Bull Terrier. As well as any breeds that are considered to be dangerous. Up to 2 pets allowed per home. Pets must be 50 pounds or less. Immunization records & photos will be required before move-in. Modern residences await you at Pinehurst Condominiums Luxury Rentals. Come experience the best in condo living. 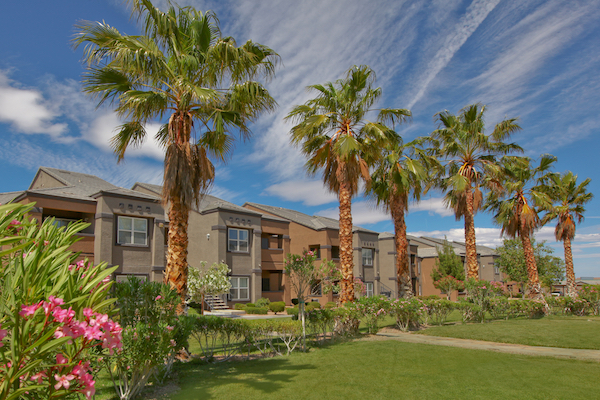 Our community offers beautiful condo homes for rent in the heart of Las Vegas, Nevada. We are just minutes away from the best local shopping, major freeways, restaurants, and entertainment attractions. Let Pinehurst Condominiums Luxury Rentals be your gateway to an upscale lifestyle. We offer five beautifully designed floor plans with one, two, and three bedroom options. You will appreciate all the fine designer touches that have been appointed in all of our condominiums. Pinehurst Condominiums Luxury Rentals features gourmet kitchens equipped with modern appliances, abundant counter and cabinet space, spacious walk-in closets, a private balcony or patio, and more! Enjoy the details that make the subtle difference between a place to live and a place to call home in Las Vegas, Nevada. Our residents in Las Vegas, Nevada enjoy a wide array of superb community amenities. Take advantage of our resort-style swimming pools, soothing spas, clubhouse, state-of-the-art fitness center, children's play area and more! All the little pleasures that make life more enjoyable can be found here. Call us today to schedule your personal tour of Pinehurst Condominiums Luxury Rentals. Pick Your Neighbors, Get Some Extra Cash!!! Refer A Friend To Live At Pinehurst At Last! !